In line with the transformation of the Bank’s Al Thuraya Privileged Banking Services, Bahrain Islamic Bank (BisB) recently formed a strategic partnership with The Ritz-Carlton, Bahrain to offer a unique value proposition with exclusive benefits and services for Al Thuraya customers such as preferential rates on resort’s exclusive premium rooms, with discounted rates of up to 35% for three-bedroom Villas and Club suites. Moreover, the Bank’s privileged Al Thuraya customers can also enjoy a 15% discount across the resort’s 11 award-winning dining restaurants. 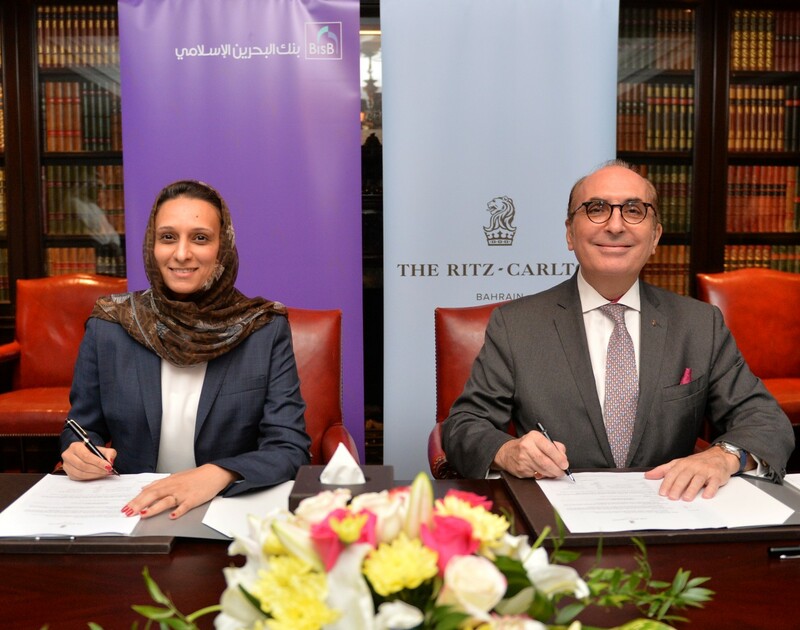 The signing ceremony was attended by Ms. Dalal AlQais, General Manager of Retail Banking of BisB and Mr. Bernard de Villèle, General Manager of The Ritz-Carlton, Bahrain. “As we share the same defining values in customer relationships, The Ritz-Carlton, Bahrain is delighted to partner with BisB in providing unique hospitality experiences for the Al Thuraya customers, and we look forward to a most prosperous journey together in the coming year,” says Bernard de Villèle, General Manager of The Ritz-Carlton, Bahrain.